The rules of trade in the Asia-Pacific must be written by America, not China, US President Barack Obama has argued in an opinion article that called for a swift ratification of the controversial TPP free trade deal. “America should write the rules. America should call the shots. Other countries should play by the rules that America and our partners set, and not the other way around,” the president wrote in a piece published by the Washington Post. 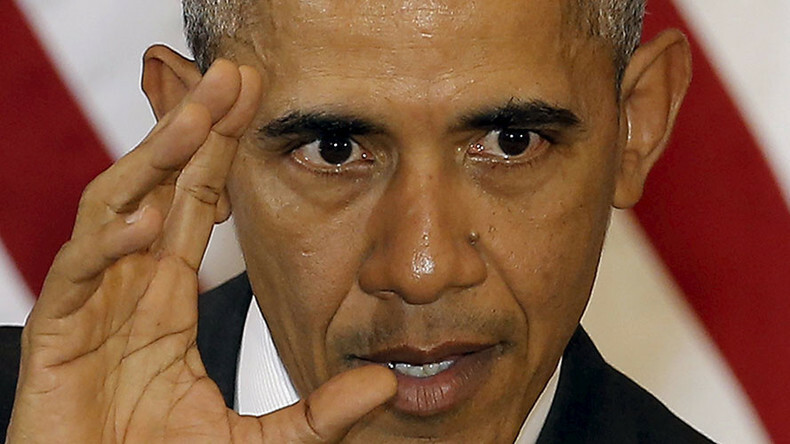 Obama was defending the Trans- Pacific Partnership (TPP), a free trade deal signed in February by 12 Pacific Rim nations. The US legislators are yet to ratify the deal, and the president said it must be done as soon as possible. “The Asia-Pacific region will continue its economic integration, with or without the United States. We can lead that process, or we can sit on the sidelines and watch prosperity pass us by,” he warned, pointing a finger at China as a major threat to the TPP. 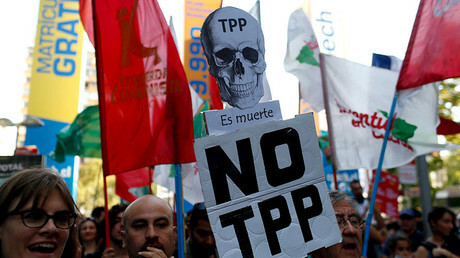 The TPP has been criticized for protecting the rights of big corporations at the expanse of nations and their citizens. Once the deal is in place, it would lead to deregulation of many areas of business, including some crucial for people’s wellbeing and human rights, such as pharmaceutics, or enforcement of digital copyrights. It would also compromise labor and environmental standards, critics say. The signing of the deal was accompanied by mass protests in affected countries, including the US. European officials earlier complained that Washington wants the deal to provide preferable conditions for American companies and would not compromise.